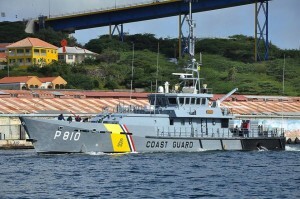 WILLEMSTAD - A Texas woman vanished while snorkeling off the northwestern coast of Curaçao last week, and the local coast guard stopped looking for her after three days of fruitless searching, authorities reported Monday. 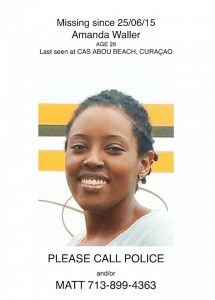 Amanda Waller was last seen Thursday while swimming back to Curaçao's popular Cas Abao beach. It's not known whether the 29-year-old woman from Katy, Texas, who was on a snorkeling excursion with her husband and a group of friends, made it to shore. Coast Guard spokesman Roderick Gouverneur said the search for Waller was suspended at nightfall Saturday after a boat, helicopter and twin-engine plane were unable to find any sign of her after surveying a large expanse of water. “People with boats in the area and also local divers helped with this search but in vain,” Gouverneur said. Terri Youngs, part of the roughly 20-person group vacationing on Curaçao that included Waller and her husband, told KHOU-TV in Houston that the Texas woman signaled at least one fellow snorkeler that she was going back to shore. “But no one ever saw her come ashore,” Youngs told the station. The U.S. Consulate in Curaçao indicated in an e-mail that they are aware of reports that a U.S. citizen was reported missing in Curaçao on Thursday, June 25.